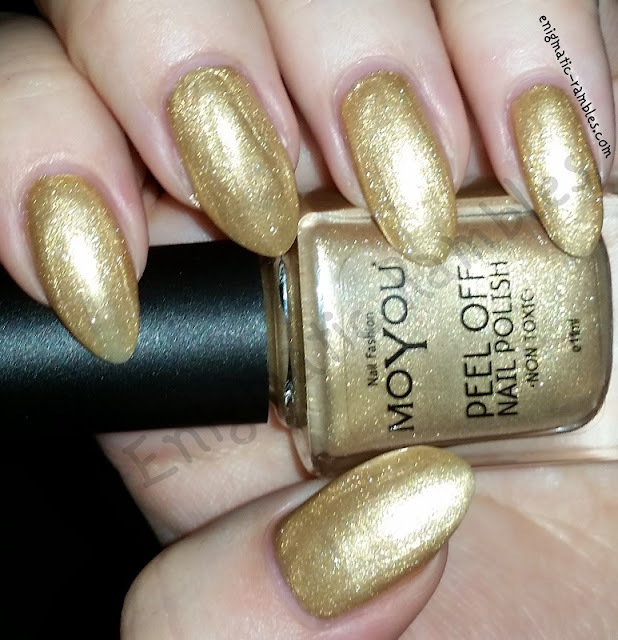 MoYou have released a new range of peel off nail polishes, in nine different colours and finishes. The bottles are rectangle which is different from their stamping polish range. They are water based and non toxic. 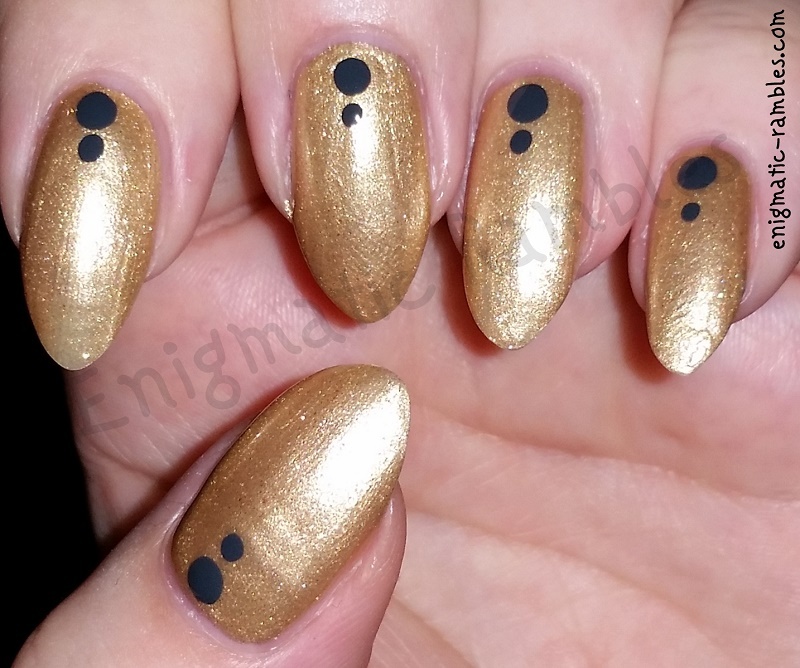 I found these polishes easy enough to work with, this shade worked best using three thin coats, which you can do. Some peel off polishes can be quite thick, this dries relatively quickly which again is good for a peel off. These polishes can be worn alone or with nail art. Once you want to remove the polish you use an orange stick to gently peel back the polish and then simply peel off.